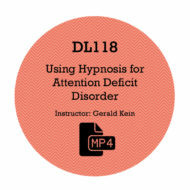 Learn This Outstanding Self-Hypnosis Program. Developed for The Hypnotist Working With Prospective Mothers For Pain Free Delivery! 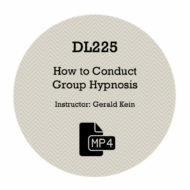 Discover why it is not necessary for the hypnotist to be present at the birth. Learn how to teach the mother to reject negative semantics of traditional health care providers, family and friends in her daily life. Learn how to alleviate any fear the mother may have of the birthing process. Gain the knowledge necessary to teach the mother how to anesthetize herself for the birthing process. Learn how to increase or decrease the mother’s lactation. Learn techniques to control or eliminate postpartum depression in the new mother. 1. Jerry’s “How TO” Workshop showing you “step by step” how to be successful with just about everyone you work with. 2. The Mothers Pre-Talk. This video will explain the program to prospective client about her babies birth. 3. Four individual session downloads showing Jerry working with a actual client. 4. A powerful audio programming session. Jerry has had many women, by just listening to this program, have their baby without the slightest discomfort! 5. Included is the exact, patter script needed to make the above, one of a kind, self-hypnosis conditioning audio for your prospective mother client. Jerry’s audio, using this same script, has helped several woman through childbirth painlessly with no formal hypnosis sessions! Working with prospective mothers can bring you great personal satisfaction, as well as, increased financial reward! 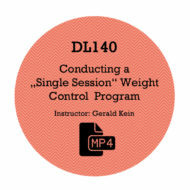 A complete training program. You can learn, step by step, Jerry’s highly successful six download program. It offers easily learned techniques for you to train your client for a happy, pain free birth. Just a short note of appreciation. I attended the ….conference……and sat in on your workshop for “Painless Childbirth”. I was so impressed that when I got back to Australia I had you send the videos on childbirth; plus….out to me. Since then I have been asked to speak to the training midwifes and staff at a large city hospital. ……I have decided to specialize in childbirth. I follow your techniques very closely and it works beautifully! !…..Once again, many thanks!